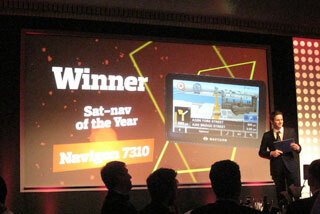 Congratulations to Navigon for winning the SatNav category of the Stuff Awards 2009. 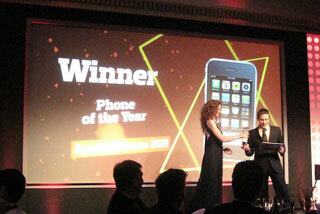 Other notable winners of the evening were the Apple iPhone 3GS, the HTC Hero and Spotify. Last night saw the presentation of the annual Stuff and What HiFi Awards. Held in the West end of London in the ballroom of prestigious Dorchester Hotel the night featured dinner, the awards and some entertainment. I was invited as the guest of TomTom who were sponsoring the "Innovation of the Year" category. After a very pleasant main course the Stuff Awards were presented with 14 categories to get through there was no speeches just a presentation and on to the next one. Readers game of the year: Call of duty: World at war.